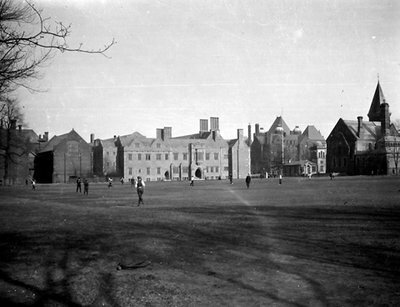 This photograph was taken at the University of Toronto in 1918. Dr. George C.R. Hall is playing baseball. A digital copy of this photo was provided by Marylou Hall as part of a presentation on her family. George C.R. Hall entered first year medicine at University of Toronto in 1918. This class was unique in that it was a mixture of WWI veterans and high school graduates. It also had the largest enrolment on record.